Central Kitsap Schools » News & Events » News » District News » We've done it again! We made the list! Central Kitsap High School, Klahowya Secondary School and Olympic High School once again earned spots on the annual list of the nation's top-rated high schools. This year marks Central Kitsap High School's 15th appearance on the list. It is the 8th year for Klahowya Secondary School and the 6th for Olympic High School. 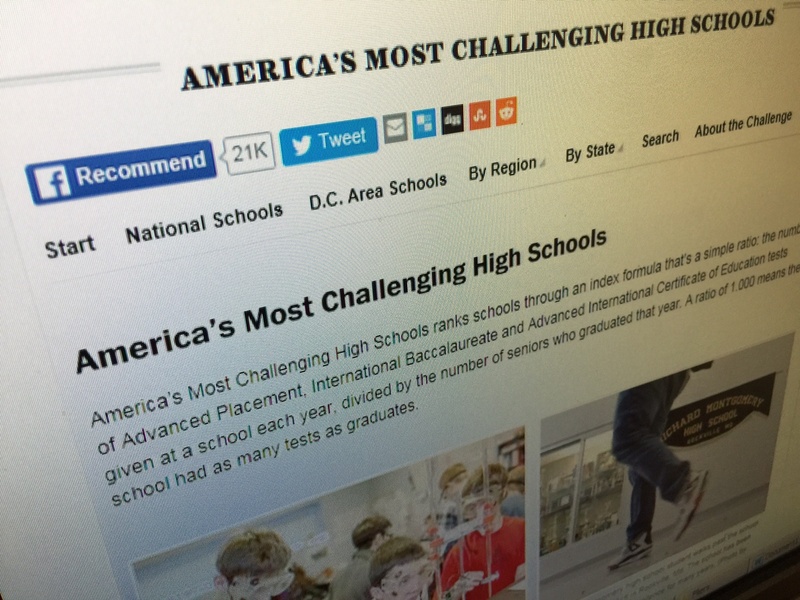 Here in Washington, only 30 high schools (of about 500) earned a spot on the list of "America's Most Challenging High Schools," a nationally recognized ranking of how well schools prepare students for college. Overall, about 10 percent of the nation’s schools made the list, which is published by The Washington Post. Congratulations to these three schools! Learn more about how they earned their spots on this prestigious list.